Roland serves as our USA Mobilizer. He promotes and publicizes the mission and its vision to individuals, churches and organizations. 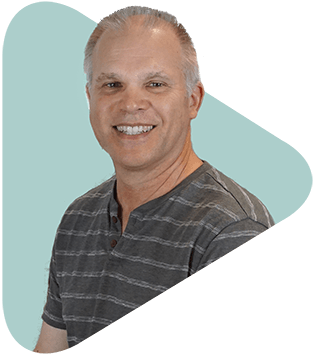 He connects missionaries and individuals with the mission at Global Recordings Network, while developing partnerships that help to distribute the audio recordings to the least reached people groups. Roland and his family served in Cambodia from 1999-2008. During that time he came to realize that the society of Cambodia consists of predominately oral learners. He noticed that while using discipleship study books was effective in the city, in the rural areas the effectiveness diminished because the literacy rate was much lower. The Hecks began using a chronological bible storytelling method to teach people in these rural areas. Soon they began to train and equip other leaders in this storytelling method. Upon returning to the USA, Roland had a strong desire to be involved in reaching other oral based learners. This led him to join Global Recordings Network in 2009. Roland became a Christian when Billy Graham gave an invitation to receive Christ in 1977. He committed to serve the Lord in cross cultural missions during his church’s missions conference a few years later. In 1997 the Hecks moved to Thailand, and two years later to Cambodia, where they served as missionaries until 2008. Roland’s wife, Kieng, came to the US as a refugee from Cambodia in her teens. She currently is helping national church planters in Cambodia in the area of micro enterprise. Roland has a B.S. in Business Administration from San Jose State University and a Certificate in Cross Cultural Studies from Bethany College of Missions.